Firstly, apologies are due regarding the terrible pun used in the title. The truth is, you're going to have to blame Julie Goodyear of Coronation Street fame for that one. She is but one of the many "famous" names who adorn the walls of Masters Superfish, endorsing their fine fish and chips. Who am I to argue with such a heavyweight of the soap world? Masters Superfish are located a mere stones throw from Waterloo station. 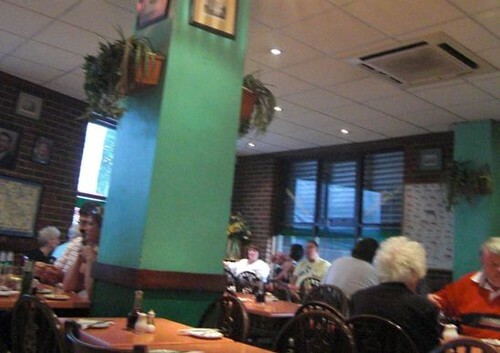 Looking dishevelled and unloved, blinds half drawn, it actually hides a very decent chippy. As the walls suggest, this place has been around for a long time (other than Julie, I noticed Lovejoy's cheesy grin peering over me). 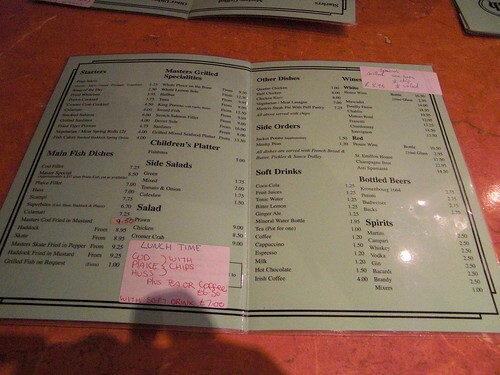 The decor is certainly a throwback to the 70's with Formica, laminated menus and sticky tables the order of the day. 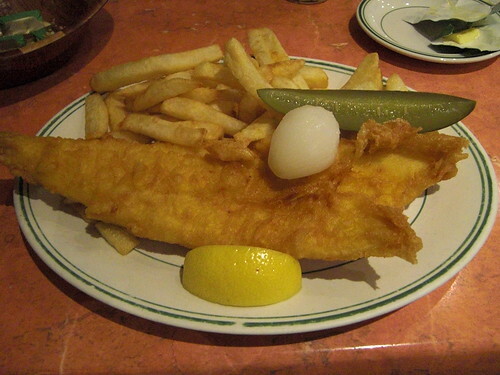 We sat and ordered, haddock and chips for me, the special of sea bass for my compatriots. 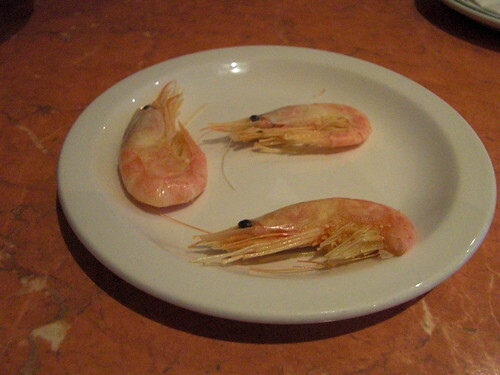 Almost as soon as the menu's were whisked away, we were presented with a basket of bread and some rather sad looking prawns. A bit of a change from the usual chippy, but well received nonetheless. Soon enough, the main event made its way onto our table, and I was pleasantly surprised. The crisp, light and relatively grease free exterior gave way to a beautifully cooked fresh fish, gently steaming within its fortress of batter. I believe that they get their fish fresh from Billingsgate market every morning and on this evidence, I certainly wouldn't doubt that. Chips were adequate if nothing special but a special mention has to be made to the accompanying pickles. The gherkin was crisp and not soggy as gherkins often are, and the pickled onion, gum suckingly sharp and again beautifully crisp. Only real bum note was that the tartare sauce was seriously lacking. Masters Superfish certainly isn't going to win any awards for service or looks but what it does deliver is an awesome plate of fish. I have only really started to eat fish over the last year, but when I taste fish as good as this, I really start to wonder what took me so long. Appearances can indeed be deceiving. Look beyond the crumbling green facade and you may just discover a gem. Covered in batter and served with chips and pickles. I tried it a couple of times with the other half and the food is fine. However they seem to give Chinese customers a different portion of fish. A bit of discrimination here!